Rabat is a town in Morocco | Rottendanish.com – it's about linguistics, disambiguation and quirky language differences, mostly between English and Danish, -which were once the same language. 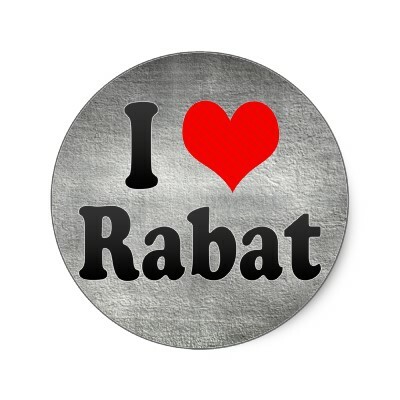 The Danish word for “rebate” is “rabat”, which happens to also be the name of the capital of Morocco. So the English sentence “you can get 20% in rebates…” should not be translated as “du kan få op til 20 % i rabat…”, because it can be understood as implying that you must be in the Moroccan town to receive it. A better translation is the omission of “in”: “du kan få op til 20 % rabat…”. This entry was posted in Uncategorized by Andre. Bookmark the permalink. But you would never be in doubt, as the cty is spelled with a capital R in Danish… Besides, it is perfectly correct to say ‘at få 20 % i rabat’. I can’t even think of a situation, in which this phrase could be misinterpreted. In the actual case the line was a headline and was all in CAPS. So it was ever so slightly closer to be misunderstandable. I personally would tend to agree with you that both seem correct and nobody would normally confuse the two, however, as I let the sentence pass through, some other Danish-speaker down the chain of command felt the correction with removal of “in” would be better. You can confirm this yourself by typing “få 20 % i rabat” into Google. You will see that the sites that come up pretty much ALL omit the “i”. Modern, correct Danish seems to be “Få 20 % rabat” (with space between the 20 and % and no “i”). For one reason or another. The Rabat-story just makes it funnier.